Sometimes the very challenges he embraces can get a good man down. Like most men, my husband’s gone through periods of discouragement. Your life may be different from ours, but your husband has probably faced discouraging times too. Tight finances, illness, and problems at work cause stress. Unemployment undermines a man’s confidence. When a man meets with discouragement, a good wife can help him through it. It’s hard to see your man suffer, isn’t it? When Jose goes through hard times, I tend to join in and fret. Rather than helping my husband get back up, I end up pulling him down further. When our husbands are downhearted, that’s when they most need us to hold on to God’s promises and keep a smile on our faces. A despondent man may be temporarily unable to give much to meet his wife’s needs. We need to place lower expectations on our husbands and higher expectations on Jesus. Our Savior meets our needs for love and encouragement like no one else can. Our husbands desperately need wives who will faithfully intercede for them. The best way to help your man is to pray for him daily. Let your husband know what you appreciate about him. Without preaching at him, gently remind him that God is on His side and has a solution to his challenges. This is where I fail. I give too many suggestions about what my husband could do to get out of a rough patch. My husband appreciates a word of advice–particularly if he asked for it—but when I go overboard, it gets to him. Most men interpret too many suggestions as criticism. When your husband is down, remember that God has given him a great helper: you! Hang in there and stay positive. Keep praying. Sooner or later, God will see him through, and who knows? The next time you’re discouraged, God just might use your husband to encourage you. Now it’s your turn: What do you think is the best way to help your husband through hard times? Thanks for your kind words, Ken. Have a great week! 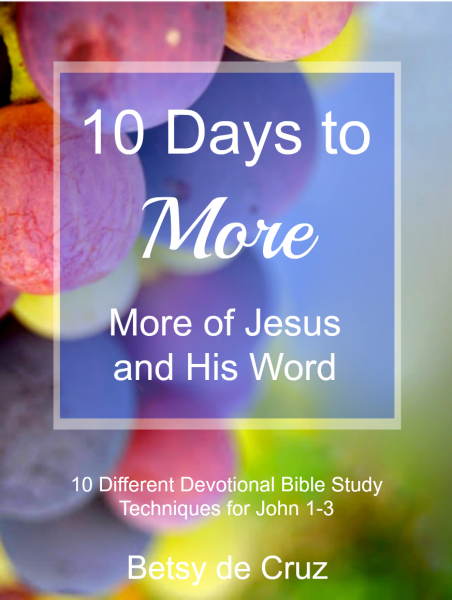 Betsy- This is a great list and such an encouraging message. We forget that our husbands need our ministry and our calling is to help and encourage him. Thanks for this beautiful reminder. Yes, Karen, it’s so easy for me to get into a “this is all about me” mindset. I forget I’m my husband’s helper! Since I am not married I am going to answer your question a little differently. Ways to be there for a good friend are just checking in via a text or quick phone call, sending encouraging notes (who doesn’t love to get real mail) and praying for them. I am blessed with friends who are willing to do that for me too. I loved getting a little glimpse into your life. You should write more about starting up the church. I would be very interested. Have a blessed week! I was thinking, too, this is a great list for anyone to be an encourager and supporter. Ways for a friend to encourage, for a husband to support his wife – and for a wife to support her husband. I too would love to hear more about your ministry, Betsy, and the adventure God has you on. Betsy, I am thankful for your words. These are really practical tips. 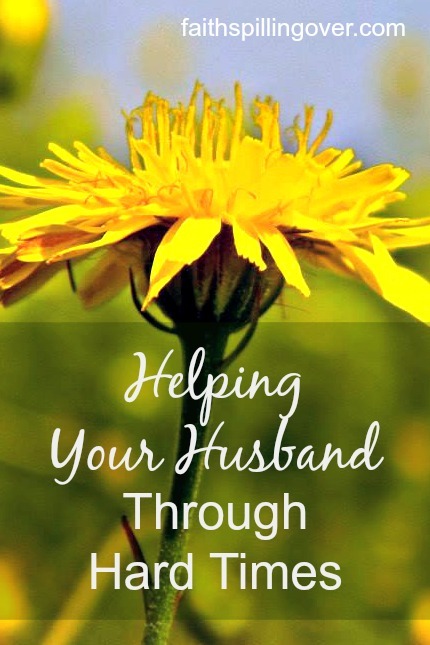 It can be hard to know what to do when you see your husband struggling, so this is a big help. I appreciate your insights so much. Cheering you on from the #RaRalinkup on Purposeful Faith. I couldn’t agree more, Kelly. It’s HARD to see your husband struggle, and it happens to the best of them. May God equip us to be better wives with each passing year! What great encouragement for wives, Betsy! Thanks for sharing so transparently from your own life. I’d say Jose is one blessed man for having chose you!! Oh, I’m beyond blessed to have Jose, Holly. Thanks for being here today. I love your link up! Amen to your list. One other suggestion is to remember your husband’s love language and be more intentional in that area. For my husband, it is acts of service which translates to fixing him a special supper or taking the time to do one of the chores he would usually do. I love this list! My husband went through a really difficult time a few years ago and I desperately wanted to help him but I struggled with how to do that. Fortunately, God was so good to lay many of these things on my heart, but I’m going to tuck this away as a reminder for when we are met with a challenge again! Thanks for sharing, Kaylie. I think we all struggle with how to encourage our husbands. I’m sure you would have some good ideas for me too. What a great mentor you are for wives! This post is so good. Thanks for reminding us of the incredible influence we have as wives. Blessings to you. Stopping in from #RaRaLinkup! Thanks for your encouragement, Leah. We do have an influence as wives, and I’m hoping to be a good one! Blessings to you and your marriage! Isn’t it amazing how God gives us the opportunity to be strong for each other? I’ve found so many times that when I’m down, God is using my husband to lift me up, and vice versa. I loved hearing about your husband’s accomplishments. Inspiring! Blessings to you today! Thanks Michele. God uses my husband to encourage me too. That’s partnership! I so appreciate this truth: “Most men interpret too many suggestions as criticism.” God did make us differently, and I have found this so often! Hard to remember and act on sometimes. My husband and I have been through some very difficult circumstances and, on top of these excellent tips(! ), have an unspoken rule that we get to “take turns.” When we’re in a situation that’s really tough for us, we know that someone needs to “keep watch” against our becoming bitter, losing hope, or giving into the temptation to go our way instead of God’s way. So if one of us is really feeling the heat and needs to doubt or get frustrated or vent all those worries, they can. But the other “keeps watch” until we can both get going again. That sounds like a great system, Bethany. Keeping watch. I like that idea. And yes, I have a hard time remembering that too many suggestions can be like criticism to a man! I know what you mean, Kristi! Letting it slide with the most important person in our life is the easiest thing to do. I wrote this post to myself too. Thanks Betsy. I needed these tips today. My husband is facing his fourth back surgery next Monday. Not only does he live in constant pain, but he also stresses easily over finances, so this surgery is hard for him. Like you shared, it’s tempting for me to despair with him, but I need to stay positive. Oh Kay, I’m praying for your husband, and for you too right now. That is hard. May the Lord be the lifter of your head and keep your eyes focused upward. Blessings and grace to you, sister. Betsy, I am so glad I stopped here today. It is so true. I, too, have been blessed with a husband I consider to be strong. Everybody loves him and he is a help to so many. It is easy for me to forget that at times, he needs encouragement as well. Thank you for this reminder today. Blessings! What a gift that God’s given you such a wonderful husband, Joanne. Sounds like you have a keeper for sure! You and your husband are doing great things. Thank you for sharing. I’m so glad to have found your blog! This is such a good list and reminder- I always do better when I have some concrete ideas for those moments when I’m feeling like I just don’t know what to do. Honestly, it is so encouraging to hear how you are trying to do these things in your marriage and it gets me excited to put that extra bit of effort into mine 🙂 I love the Love Languages book by Chapman and I usually try to do things that are along the lines of my husband’s love languages when he is feeling stressed. It’s always nice knowing that it communicates what I want it to for him even if it doesn’t quite feel the same for me. Love this post! I know what you mean about having some concrete ideas. That’s kind of how I am too. May the Lord bless your marriage and encourage your husband through you! I like and agree with all your points and they are much needed reminders. I especially like “Focus on Christ”. I think that is good advice even when things are going well because men aren’t mind readers and we often put way too many expectations on them. Putting our expectation in Christ is a much better option. Thanks for the positive encouragement. Oh I hear you about those expectations, Bev. I was writing that point to myself, believe me! It’s so easy to get our expectations swtiched around! Men aren’t mind readers, but Jesus is! Excellent advice here, Betsy! I know my husband would appreciate me reading these. ha. “Know when to keep your mouth shut” is probably the hardest one for me too. I don’t particularly say harsh things, but might offer too many “suggestions” when they’re not wanted. You’re a wonderful wife to Jose! Yes! Me too. Thanks for the visit today. Excellent advice, Betsy! I used all of those and made some of the same mistakes (talking too much, give too much advice). My husband was career-less for ten years (although he had occasional jobs). It was rough, but in retrospect, we both see those hard times as preparation for the job he currently holds–principal of a small mission school for Native American students. All things really DO work together for good! Being without a career for ten years does sound tought! How wonderful the way God has given him a great position now, Anita! Bless you as you cheer your man on! The language of touch isn’t my love language either, particularly, nor is it my husbands, but it’s still good for us both when I try to remember it! What a great reminder that we are a team in all of this! Thanks for these encouraging words! Thanks for being here, Rachel! This past winter my husband was working two jobs. He WAS discouraged, and very tired a lot! I made it my ‘job’ to intentionally love him sexually and send him text messages about how amazing he is, how thankful I am to be HIS wife and I prayed for a breakthrough. This new job is 36 miles away, one way and again, he’s home later, tired and needs me to be his biggest fan. Thanks for your post. It’s very encouraging to be reminded that we have such a place of influence in our man’s life. You sound like an amazing wife, Daune. I’m sure you could teach me so much. That prayer for breakthrough must have been a key to his new job. Blessings and grace to you during this new stage of the 36 miles away job. Aw, these are good words and your husband has a great treasure in you. Men definitely need their wives to be their #1 cheerleader! Visiting from #TellHisStory. Love this Betsy, such truth! Well written and chock-full of good reminders. Thank you. Betsy this is so good! Your words give me the hope that just maybe I can learn to keep my mouth shut! 😉 Thats where I struggle sometimes. Often its not the words I say, but the body language and the facial expressions that go with it that give away the irritation in my heart. Thanks for featuring me, Kaylene! If you can learn to keep your mouth shut, do you think you could teach me too? I have the hardest time with that! Such a great post, Betsy! A couple of years ago, my husband battled thyroid cancer, and a few months after beating it, he lost his job in a very unfair and hurtful way. I can see as I look back at those experiences that God enabled me to incorporate a lot of these very things you suggest. From the very beginning, wives have had great influence over their husbands. We can use it for harm or for good. Thank you for prompting us to use it for his good! 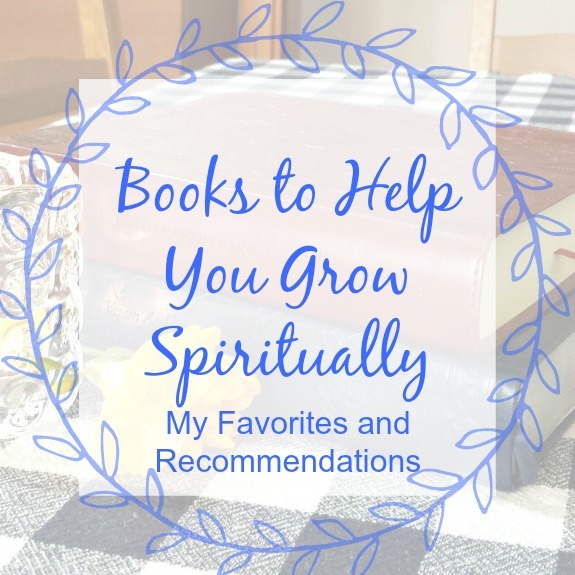 Thanks so much for linking up with us at Grace & Truth! Wow, Jennifer, that sounds really tough. I’m sure you would have a lot to teach us all about encouraging your husband. Blessings on your weekend! I too am often guilty of making unnecessary suggestions. I’m learning to accept more, change less, listen and rely on God’s promises. Thanks so much for sharing. I like that: accept more, try to change less! I pray for him and I encourage him. 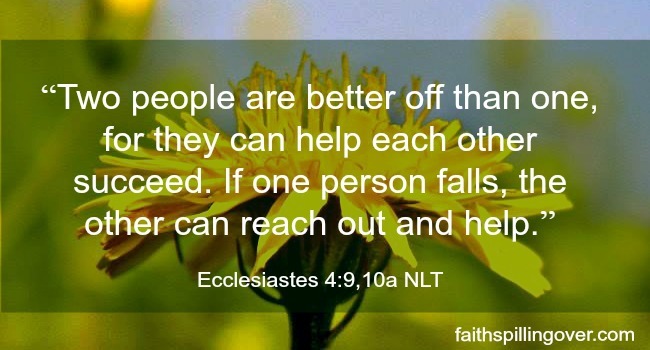 I believe one of my gifts is to be an encourager I do it well. I keep the children from bothering him too much and I shoulder some responsibility that is depending on what is causing the stress.